Polish international defender known for being a member of Leicester City's improbable 2016 Premier League title team, although he didn't appear in enough games to automatically qualify for a winner's medal. 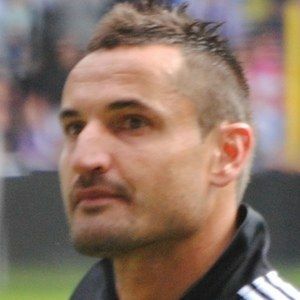 He made his professional debut in 1999 with Hutnik Krakow and played for various Polish teams, most notably Anderlecht, before joining Leicester in 2013. He earned his first international cap in 2002 and appeared in 60 matches for his country over the next 11 years. He grew up in Krakow, Poland. He and Andrej Kramaric both played for Leicester in 2016, but neither played enough games to automatically qualify for winner's medals.